International label founded in France in 1947 by Léon Cabat and Charles Delaunay. 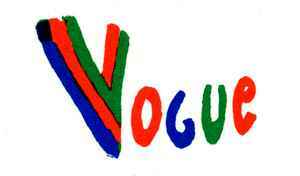 See also variations Disques Vogue and Vogue Productions. The Company initially began by releasing Jazz music then, since the 1950s, it also released French pop music and licensed American and British pop music. In the 1960s/70s a number of sub-labels were added. The label folded in 1987 and was then acquired by Sony BMG Music Entertainment and subsequently Sony Music Entertainment through Sony Music Entertainment France S.A.S. - who own the rights to the label's catalog. 78 rpm releases can bear the following labels: Jazz Selection, Royal Jazz (2), Mood, Swing (3), Specialty and Disques Vogue/Vogue Productions/Vogue (V100, V1000, V2000, V3000, V5000, V12000 series). 45 rpm releases can bear the following labels: Disques Pop (PO45S, MPO, POX, SPO, STPO series), Disques Vogue/Vogue Productions/Vogue (V45-01, 45v4000, VS45-12000, V45-27000, INT 80000, STE 01-45, JKST 01 (33 rpm), DOV, ENF (for children), EPL, EPS, INT, STEP. 33rpm releases can bear the following labels: Blues Legacy, Blues Today, Jazz Legacy, Jazz Selection, Jazz Today (2), Kaleidoscope, Mode Disques/Mode (4), Mondio Music, Disques Pop (12, CBM, POMS series), Swing (3), Disques Vogue/Vogue Productions/Vogue (LD, LDM 10000, LDA 20000 (520000), LDY 28000 (528000), LDM 30000, INT 40000, LVLX series) label. Special series include Collection Sidney Bechet, Disques Pop label, Disques Vogue/Vogue Productions/Vogue label, Stereo series, Vogue label for 16 rpm series and for 2xLP (DP, 406500 (LD6500), LDA16000 (416000), 429000, DY 21000 series).